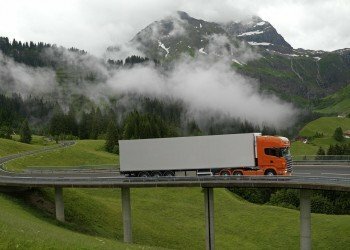 If you’re planning on becoming a HGV driver then by law you must pass the medical test. In order to legally operate commercial vehicles you will need to be in a good state of health after all you will be carrying out your role on public roads. Every new HGV driver must take a HGV medical exam along with the paper work that comes with it and submit it to the DVLA by the physician who carried out your medical test. Every time your HGV license comes up for renewal you will be required to complete another medical exam. There are two parts to the HGV medical, the first part is your interview where you will discuss your medical history and current issues (if any) to the physician carrying out your medical test. You must be honest and upfront with the physician about past and present issues. If you fail to be honest and something is discovered about any issues that you failed to mention, this could lead to consequences. The second part of the medical is the actual examination itself where the physician tests you. Your vital signs will be checked along with your vision and many more important tests too. The duration of the test is roughly 30 minutes. The physician will be filling in the form for the DVLA as he/she carries out the test. Who carries out the HGV medical test? Any doctor who is registered in the UK can carry out your HGV medical test you can go to your local GP or any private doctor in your local area. Your local GP can carry out the HGV medical and it won’t cost you a penny, however, if you are in a bit of a hurry to get things done quickly you may want to think about having it done privately, which will enable you to get things completed much quicker. Private doctors have smaller waiting lists so you can get moving much sooner than if you went to your local GP, however, there is quite a big downside to going private, yes you guessed it, the price. Some doctors will charge £150 plus for a 30 minute examination. Your doctor will be looking some very specific points. He/she will expect you to be reasonably good health, however if there are any serious conditions you may be disqualified from driving professionally on public roads. Also remember that if you go on to develop any conditions once you have your HGV license you may have to have your license transferred from standard format to short term format. Short term format means that you will have to have more frequent medical tests compared to someone on standard format. Remember you have to be in reasonably good health to become a HGV driver, you don’t have to be a perfect specimen. If you do go on to develop a condition then you must report this change in circumstances to the DVLA as the condition may mean you will be disqualified from driving professionally. These conditions could be any one of the above listed and also other medical conditions for instance cancer. Once you report a medical condition you will have to have another medical in order to continue driving. You could then depending on the results stay the way you are as standard or have your license transferred to a short term license. Remember the HGV medical is YOUR responsibility and remember that falsifying a medical test is against the law and you will be punished with severe consequences. The government here in the UK takes the health of drivers that work on public roads very seriously. A HGV medical is there to ensure you are healthy and safe to become a HGV driver and to continue to be a HGV driver. Well there you have it, the HGV medical. I really hope you have gained more info about the medical test and the process involved. Let me now wish you the best of luck, and I hope you successfully pass your medical exam. Good luck!